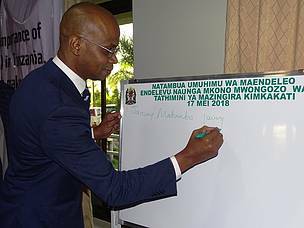 Minister of State Vice President's Office Union and Environment HE January Makamba (MP), launched the National Guidelines for Strategic Environmental Assessment SEA in Dodoma. 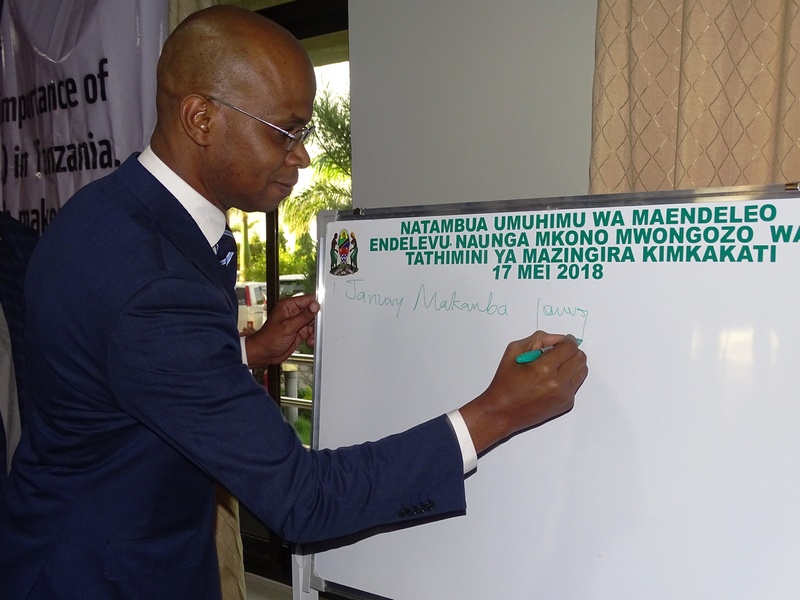 In his speech minister Makamba said this guide is very important in making sure that Tanzania develops sustainably when it comes to environment and protecting the natural resources in Tanzania. He said Tanzania has been undertaking SEA because it is legally expected and is provided in the Environmental Law but as there was no guideline, this was not done properly and each process was done inconsistently. He thanked WWF for a great effort they have put in the development and eventually the launching of the guidelines and commended the organization for its continuous and dedicated contributions in conserving Tanzania's natural resources across the country. Dr. Simon Lugandu, the conservation Manager for WWF assured the minister that WWF is ready to work with them to make sure that the guidelines are effectively distributed and stakeholders are educated on how to use them. He called for the government to establish a strategy for Green Economy which he believes will help Tanzania in achieving development that is environmental conscious and sustainable.